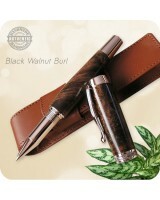 Custom made according to your wishes! 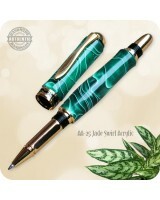 This Sedona Rollerball Pen to be handcrafted on the wood-lathe.. 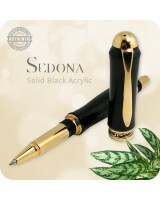 This elegant Sedona Rollerball Pen features rounded ends, a gracefully flared clip and striking ce.. Custom made according to your wishes! 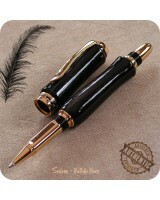 This luxurious Artisan Statesman Rollerball Pen to be handcr..